Whether you’re a weekly gym-user or full-time elite athlete, much of your time can be spent nursing an injury picked up during training – or overtraining in many cases – which could lead to missing out on those big races or events you have prepped long and hard for. But, putting your body through its paces doesn’t need to be painful or even take as much time – those who train the ‘smartest’ or most efficiently are usually the ones who will gain the best rewards. Skip the long slog of the treadmill or jog around your local park and hop on a Versaclimber to test out its low-impact, full body workout capabilities. The machine replicates your natural running motion – minimising the risk of injury that results from repeated impact with the ground – making this machine the perfect companion for anyone tackling a marathon or sprint during your weekly Parkrun 5k. What is a low-impact workout? A low-impact workout doesn’t mean your weekly session at the gym has to be any less active. In-fact, low-impact workouts are exercises that simultaneously increase the heart rate and burn calories, just without the intensity and strain on your body associated with a high-impact workout. The characteristics associated with a low-impact workout are those that keep one foot on the ground at all times, similar to the action of a jog on a treadmill. Although one foot does remain in touch with the machine’s tread, you’re more at risk of incurring an injury as the repeated impact of upward ground force on your lower body can take its toll on your muscles and joints. With the Versaclimber, your feet are always firmly planted in its foot handles, replicating the natural running motion you would achieve during your jog, but this time, without the pain! A huge benefit of this exercise is its calorie-burning potential. The risk associated with a high-impact workout often means that athletes can be ‘out of action’ for a period of time in order to recover – inactivity that can quickly lead to a steep decline in health and fitness levels. Low-impact workouts require almost no recovery time in between training sessions, enabling you to hit the gym or track everyday (if so desired). If you’re looking to improve your fitness or make a comeback from your most recent injury, a session on the Versaclimber Sports Rehab could be an ideal solution. The versatility of the machine enables users to isolate the limbs and target muscle groups with zero impact, it’s little wonder it has been chosen by some of the world’s first-class athletes in James Haskell and healthcare professionals for a gentle, but effective route to recovery. 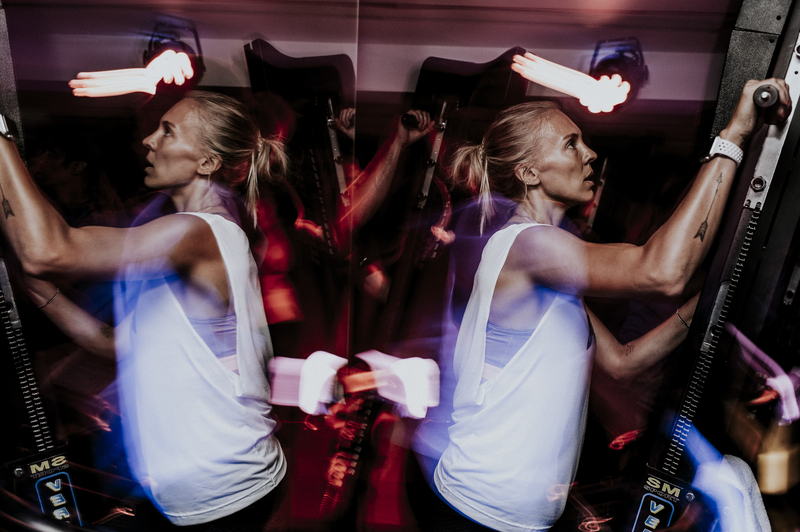 To make the most of your new training programme, and to ensure your recovery has no further setbacks, it’s important to keep the workout exciting and varied because a tedious, repetitive routine might stall your progress. While covering all the major muscle groups, the Versaclimber allows users to customise a workout – whether that’s changing the resistance to target strength or endurance, or hand placement, climb pattern and torso rotation to focus on specific muscle groups. Users have the ability to change up their routine all on one machine. Join the climb and get your heart pumping; you will soon see the benefits of your low-impact workout on your knees and ankles when it comes to acing that marathon! Share your favourite low-impact workout tips on the Versaclimber with us on our social media channels, Facebook, Twitter and Instagram. The exercises provided by Versaclimber and Versaclimber.co.uk are for entertainment purposes only, and are not to be interpreted as a recommendation for a specific treatment plan, product, or course of action. Exercise is not without its risks, and this or any other exercise program may result in injury. They include but are not limited to: risk of injury, aggravation of a pre-existing condition, or adverse effect of over-exertion such as muscle strain, abnormal blood pressure, fainting, disorders of heartbeat, and very rare instances of heart attack. To reduce the risk of injury, before beginning this or any exercise program, please consult a healthcare provider for appropriate exercise prescription and safety precautions. The exercise instruction and advice presented are in no way intended as a substitute for medical consultation. Versaclimber and Versaclimber.co.uk disclaims any liability from and in connection with this program. As with any exercise program, if at any point during your workout you begin to feel faint, dizzy, or have physical discomfort, you should stop immediately and consult a physician.